This week the Kilcoy Race Club has its annual DIGGERS DAY. The track is rated as “Good” and the rail is in the true position. The day is always a wonderful event and it will be even better this weekend with some spectacular weather forecast – so, if you want to experience country racing close to the Brisbane and Sunshine Coast areas at its very best, I would strongly suggest you get in your car and take the drive to Kilcoy! The feature race is the Butler McDermott Lawyers Diggers Cup over 1200 metres (Race 5). There is another reason to get along this weekend as the old grandstand that has stood for many years will be torn down on Monday with a new facility to be built that will incorporate a brand-new kitchen and dining area to service the loyal patrons and visitors to the Kilcoy Race Club. Just a reminder to grab one of the infamous Kilcoy Race Club steak burgers – this is the first win you will have once you get to the track! We start the day with a sprint over 800 metres for the two-year old’s – a QTIS race. Many of the horses are having their first start so it will be wise to maybe wait and see if there are any serious betting moves as the race draws closer and the final field is known. I am a big fan of a two-year-old that draws the fence. I see that a Liam Birchley trained runner has drawn barrier 1 – Curry Connection (7). This runner had a barrier trial on 26 March where she looked very forward. I think is she brings that trial form to the races and can hold the rails she will be difficult to knock off here. Birchley has Boot ‘n’ Awe (2) engaged as well – no trial form but he may be ready to show up here. Falvey’s Spirit (8) is trained by Danny Bougoure. She ran a nice trial back on 26 February and then ran in a strong trial on 26 March as well. On face value you would think that that trial was average. I think that there were some high-quality horses in that trial and her effort should not be under rated. Magic Desert Moon (10) showed some serious speed on debut at the Sunshine Coast when she led and then faded in the final stages over 1000 metres. She drops back in distance to 800 metres this weekend and, on that effort, she will probably difficult to beat if she has benefited from that debut run. Trainer Darryl Hansen has a good success rate here with his runners as well. Garry Schwenke trains Strkying Princess (11) and apprentice Nick Keal is riding her. Her recent runs have been solid. She has had eight weeks off and had a freshen up. I looked at the run at Ipswich where she was beaten by Gem Of Scotland over 800 metres. That run was very good. Gem of Scotland has gone on to win two more starts as well. A nice form-line, plus apprentice Nick Keal does ride this Kilcoy track very well – it will be great to see him on the weekend (told you Nick you would be back!). A Class 1 race here over 800 metres for the second on the program – sponsored by Kilcoy Global Foods. Leica Firecracker (4) won here last start and broke her maiden over 800 metres. She started favourite and was ridden to victory by Nathan Thomas. On that run she looks difficult to beat again despite rising in class. The only drama is that she has drawn the outside of the field in barrier 11. She may need some luck from out there! Razzy (10) is second up here. She is still a maiden racing in a Class 1 event, however, last start at Toowoomba she tried to lead all the way and was run down late by the winner. I think that she will strip fitter for that run and be very hard to beat this weekend. The Lipp stables in Toowoomba have had a good run of luck with runners in the recent six weeks – maybe they can notch another win here! Ice Patch (3) resumes from a spell here for Wendy Bannerot. Kelly Gates is in the saddle. 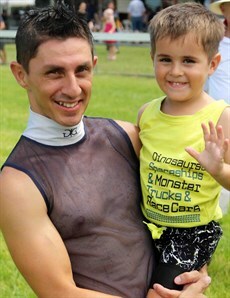 This is a two-year-old taking on the older horses – however, he did win nicely second up at Toowoomba over 1000 metres. He has been having a spell since November and may just be ready to strike here. I am not a fan of backing two-year old’s against the older horses. But this field is very limited in depth. A maiden race over the 1060 metres. 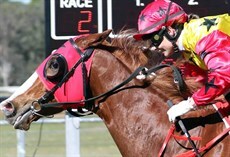 Harry’s Star (2) has been racing well and last start ran a nice second at the Sunshine Coast over 1000 metres. Wendy Bannerot trains this runner and she may be able to train a race to race winner here. Bravado Miss (7) – his last start before a spell was here at Kilcoy where she had no luck and the horse and jockey featured in the steward’s reports. She has drawn well in barrier 7 – Melissa Cox rode her in a recent trail at Deagon and she looks forward enough to race well here first up at Kilcoy. Coupe De Ville (11) resumes here as well for Kylie Geran and has drawn well in barrier 2. 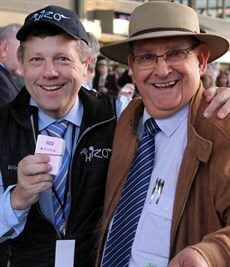 Ron Goltz is in the saddle – maybe one to consider here. Buck’s Me Boy (1) has been racing in some rural areas – 21 starts for 3 placings is not a good wrap but will put him in to find a place. This race is over 1060 metres. Only a small field of nine runners. I like New Alliance (2) trained by Rod Hilton at Texas. This runner is back in class this weekend and normally races on the speed – that is a huge benefit here at Kilcoy. I think you can rule a line through his last start at Ipswich on a heavy track. He despises wet tracks. Prior to that he has some solid form on good tracks and he should be very competitive here this weekend. 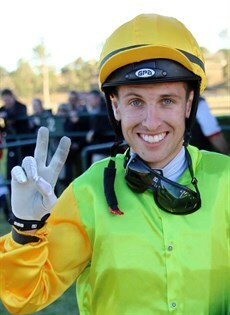 It is great to see the smiling assassin Adam Spinks in the saddle this weekend at Kilcoy. He takes the ride on this runner and will give it every chance. Maybe even a wave or a smile after the race if he can win – here lies the challenge Mr Spinks! This is Adam’s first day back riding after a short stint on the sidelines. Avalanche Warning (7) has won here previously as well. Last start she was unlucky at Gatton on a soft track – it may pay to overlook that run and go on her previous consecutive wins at Kilcoy and Rockhampton. Another nice ride for Hannah English. Honour Promise (8) is another track winner who raced wide last start at the Sunshine Coast. Given some luck and the ability to jump cleanly and take up a forward position - look for an improved effort this weekend. This is our feature race on the program over 1200 metres. Butler McDermott Lawyers and Peter Boyce are well respected and great supporters of the Kilcoy Race Club. This is a very competitive field of nine runners – all of them have an equal chance. I like Gossiaux (3) trained by Kym Afford at Wondai. This runner comes off a nice win over 1000 metres at Bundaberg. He has had a look at the track back on the Australia Day meeting and ran well over 1060 metres. Hannah Phillips is in the saddle and I think from barrier 6 she will look for a trail behind a speedster in the race. The Monk (4) may need some divine intervention (that is a really bad pun). He is trained on the Gold Coast by Peter Balzen & Nicole Tanti. He raced here on the 11 March over the 1200 metres and was very unlucky not to win. I think he will be in the finish as the judge calls a halt to the race – Nathan Thomas to ride this runner. Pabulum (5) scored her only career victory in 19 starts here at Kilcoy back in September 2018. On that occasion he jumped well and led them in a maiden race easily. She has had a spell since November. She is trained at the Gold Coast by Alicia Willick. Maybe a chance at some odds – to be ridden by Minehiko Shimodaira. The last race of the day over 1500 metres – to be sponsored by the local Searles Garden Products. Con Searle is the President of the race club as well. He will be boo making on the day. If you want to have a bet make sure you hook into him punters! WINNO just loves taking his money! Plus, he will probably be running doubles on the last two races – these are always good fun as well! Supervisor (1) won here in March over this distance. He looks the likely winner and another nice ride for apprentice Adam Spinks. Last start he went around at Gatton on a soft track – he has never handled wet surfaces so forgive that run. Ben Currie has the bottom weight in here. I am just tipping it – Star From Heaven - as it looks to have reasonable form, will be ridden by Sally Sweeny and has drawn well in barrier 3. If you are looking for a knock out – maybe this is an omen tip – Three Stooges – after all there will be three stooges at the Searles Bookmaking stand trying to get our money! Looks like an open field. It may come down to scratchings. Hannah English has a nice book of rides – Nathan Thomas has some good chances as well – then I have tipped Adam Spinks to ride two winners from two rides on his first day back in the saddle. Let’s go for Hannah English to dominate the boys this weekend at Kilcoy! Con Searle is the President of the Kilcoy race club. He will be bookmaking on the day. If you want to have a bet make sure you hook into him punters! WINNO just loves taking his money! Plus, he will probably be running doubles on the last two races – these are always good fun as well! 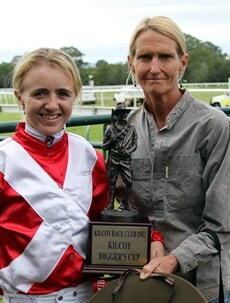 Wendy (on right of photo) is a frequent visitor and winner at Kilcoy. She has two great chances in Race 2 - Ice Patch and Race 3 - Harry's Star. Can she win a double on Digger's Day 2019? 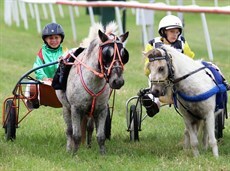 Get along and support the kids and the Mini Trot races - 3 are scheduled this weekend. They are always popular with the patrons!